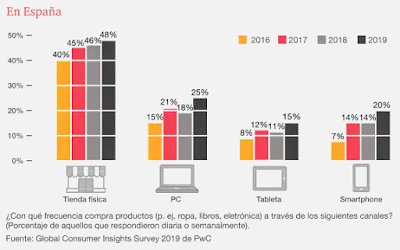 ¿Por qué necesitamos medir la audiencia en digital signage? Te dejo un artículo que publiqué recientemente en Audience Count, portal especializado en la medición de audiencia en digital signage. El artículo se centra en la necesidad de medir la audiencia actual de nuestros canales debido a la necesidad de datos que tienen los clientes, pero no sólo debemos quedarnos con eso, sino con que de esa medición depende el futuro de los canales de digital signage: sin datos de efectividad no podemos evolucionar el contenido hacia lo que nuestra audiencia quiere. ¿Por qué esperar si contamos con las herramientas de medición necesarias? El público decide si nuestro canal vale o no vale. Para los anunciantes no sirve hablar de bondades, sino de datos. Why we need to wait for audience measurement in digital signage if we have good information for advertisers? With the recent advancement in Digital Signage webs, blogs, clippings, twitter and other sources, the article by Paul Flanigan on “Do we need digital signage audience measurement right now?” I would like to make some conclusions and ideas that will help us understand why we should measure the audience. Flanigan explains that television had not measured its hearings until 1950, according to Nielsen, and there was a measuring active until four years later. The same thing happened on the Internet, where they spent about 15 years until it began to be measured. However, in this first article I wonder what if we could not begin to measure it before we would have done? TV and Internet are different… digital signage has his own way. OVAB presented a set of guidelines for assessing the audience in a space and place. Its president, Suzanne Alecia emphasized that these were guidelines for reporting on a common audience. Not all businesses qualify for the guidelines … but in reality the problem is that developers and operators of digital signage channels are not taking into account the audience in the development of content, therefore how can measure it? Currently, each DS channel is offering its personal value for advertisers (each has its own economic assessment on how much charge the advertiser), so do not take into account all these variables. Flanigan was asked, are we taking into account the audience that changes according to the sales point where he is? As Jim says Lucas, VP Marketing division of Draftfcb Shopper, “there are hundreds of messages vying for the attention of the buyer.” And Bill Gerba goes a little further, “even if you do everything possible to successfully integrate the screens in place, the differences in personality, demographics or the spectators mind can be very different from one place to another. 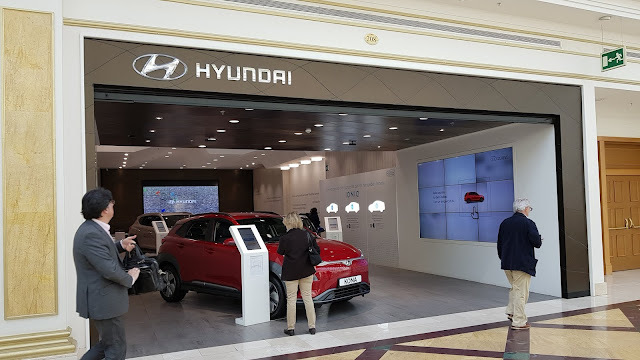 It is equally difficult to measure all channels of digital signage because not all the public will have the same capacity for attention, the situation will be different from the screens, or even the interior decoration of the shop. But it is also true that without a minimum standards will continue as before: to provide advertisers with data and valuable information and that the real benefit. ´We need measurement because we need references and real data to improvement our digital contents. The awareness should start in the digital signage companies, as many do not give importance to its audience (which is what will decide the future of their SD channels), and media planners, who still do not fully understand the digital signage. How will our advertiser wait to see if his investment is profitable in DS? The television programming, editorials, news, banners … are modified depending on the audience and how it evolves. All the more reason to have a real audience measurement in digital signage, instead of asking if we really need it … Will not measure the audience if they are the judges of our digital signage channel?… and they decide the future of contents?